As a senior director for Thomas/Boyd Communications, Caitlin serves as day-to-day contact for clients across a broad spectrum of industries and works in the development and implementation of public relations initiatives and strategic online and social media programs. Caitlin works as part of a team providing strategic counsel for high-level issues across the state. She utilizes her strong writing and editing know-how in articulating complex issues into clear, audience-centered content for websites, op-eds and letters to the editor, bylined articles and other communications collateral. Additionally, she has extensive media relations experience and has secured placements in a number of local and regional outlets, including The Philadelphia Inquirer, The Star-Ledger, NJBiz and other print, online and broadcast media. Meticulously organized, Caitlin calls upon her organizational and planning skills when managing, executing and providing on-site support for events, ranging from product launches and golf outings to multi-day conferences, with high-level speakers such as Governor Chris Christie, Lieutenant Governor Kim Guadagno, commissioners from the New Jersey Board of Public Utilities and national experts in the utility industry. 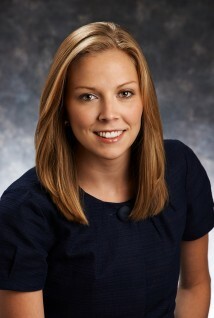 Caitlin joined Thomas/Boyd after completing an internship with the firm. She graduated from Rowan University with a Bachelor of Arts degree in public relations and a minor in journalism.